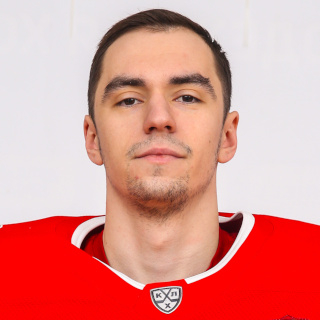 In today’s edition of our continuing Not A Word About Hockey series we’re going to talk to JHC Spartak Moscow goaltender Andrei Skovronsky. He spoke about his character traits, music preferences, decision on becoming a netminder and much more. - My mom and our team doctor decide on my diet. I try to eat healthy and I don’t have a favorite meal. I prefer several meat dishes. - I have a British cat. His name is Max. He misses me when I’m on the road and he’s happy when I come back. - I usually spend my vacations with my family and friends. I prefer going to the seaside. I like seeing the sights as well as resting on the beach. - Whenever I meet my friends, we usually go for a walk or to the movies. If we get the chance, we go to the country for BBQ. - I like Marvel universe, but I don’t have a favorite movie. - I listen to different music genres, it all depends on my mood. The latest song I have added to my playlist was Rap Saved Me by 21 Savage. - I have a quick-temper, that’s one of my shortcomings. I try to stay calm because it can be a problem in hockey as well as in real life. As for my upsides, I’m a kind and fun person. - I have never felt like not going to the game. I always want to step on the ice and battle for my team. - A real man must be the master of his word, have good manners and be manly. - I inherited my best qualities from my parents – kindness, timidity and being responsible. - When I meet new people, first thing I look at is how they talk. - I try not to be superstitious. It can be a distraction from work. I don’t consider myself a gamble. - I don’t have a role model when it comes to men’s attire. I believe, every man has to have his own style. - I don’t pay attention to brands. Blue, gray and black are the dominant colors in my wardrobe. I prefer athletic wear in everyday life to classics. It’s more comfortable. - Frapin The Orchid Man is my favorite perfume. - I don’t grow beard. It doesn’t really grow and I’m not that into it. - I like interesting girls, the ones you can have a conversation with. It’s important to me that my girlfriend is honest with me. I hate liars. I believe, it’s very important to find your kind of person. - If I’m going to have a son, I would sign him up for hockey. But I wouldn’t force it on him. The most important thing is that he would want it himself. I would rather sign up my daughter for gymnastics. - If it weren’t for hockey, I would probably study medicine because my parents are doctors. - I study at Russian University of Transport. My major is management. I know all of my classmates and professors. I do my best to come to classes and pass the tests. I believe, higher education is very important these days. Not a lot of people know that when my parents brought me to a hockey school when I was four years old and I saw a hockey goaltender for the very first time, I said right away, ‘I’m going to be a goaltender!”.